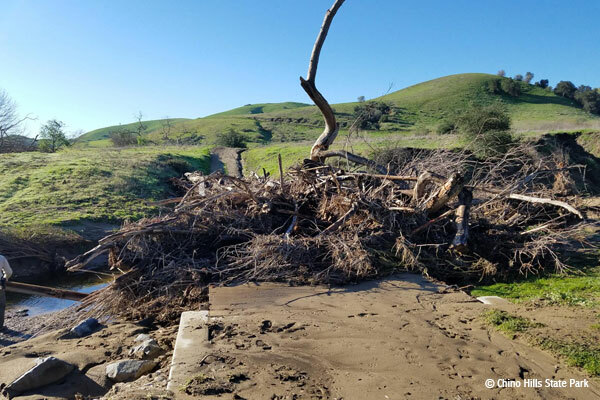 For those of you wanting to hike/bike/ride in Chino Hills State Park: here are photographs of why the Park’s trails are currently closed. Massive trail damage and repairs are needed due to the heavy rains. Your patience and avoidance of the area is greatly appreciated. Maybe this is a chance in the New Year for you to try another park while this one dries out?